HONOLULU, HI -- New research released Thursday shows tiger sharks naturally favor waters near Maui that are close to some of Hawaii's most popular beaches for humans. This can reasonably explain why there are a higher number of shark bites in waters surrounding Maui than other Hawaii islands, said Carl Meyer, assistant researcher at the Hawaii Institute of Marine Biology and the principal investigator on the report. Yet Meyer stressed it's rare for sharks to bite people. He said shark attacks have increased over time but that is because the human population has grown and more people are in the ocean. The state of Hawaii's Department of Land and Natural Resources commissioned the two-year study after a spike in shark attacks off Maui in 2012 and 2013 raised community concerns. The researchers tagged tiger sharks off Maui and Oahu and tracked them as they swam around the island chain and open ocean. Meyer plans to submit the research to a peer-review journal. State officials said the study shows people need to be careful when entering the ocean. "Swimming in the ocean is swimming in what amounts to a wilderness environment. Sharks are part of this environment," said Bruce Anderson, administrator of the state Division of Aquatic Resources. "We have to accept that they're there and take precautions to avoid encounters, which are going to occur from time to time." Anderson said the state would increase its educational outreach in response to the study. He urged people to stay out of the ocean if the water is murky. He recommended avoiding areas near streams where dead animals may wash out, attracting sharks. He suggested swimming in groups, as a buddy can help if a shark does bite. Anderson said shark behavior hasn't changed, but people's behavior has, as more people are kayaking, swimming, spearfishing and taking up ocean sports such as stand-up paddleboarding. The research showed the sharks favor waters between Maui, Lanai, Molokai and Kahoolawe islands. The area is rich with coral reefs that offer habitat for fish and other marine life that sharks like to eat. Together, Maui and nearby islands have more preferred shark habitat than all the other main Hawaiian Islands combined, Meyer said. Maui sharks tend to stay in these waters. But the area also draws sharks that normally live in Oahu waters, particularly during mating season. There were six shark attacks around Maui in 2012 and eight in 2013. The numbers dropped to five in 2014 and one in 2015. Meyer said shark attacks would likely continue to increase gradually over time as the human population grows. 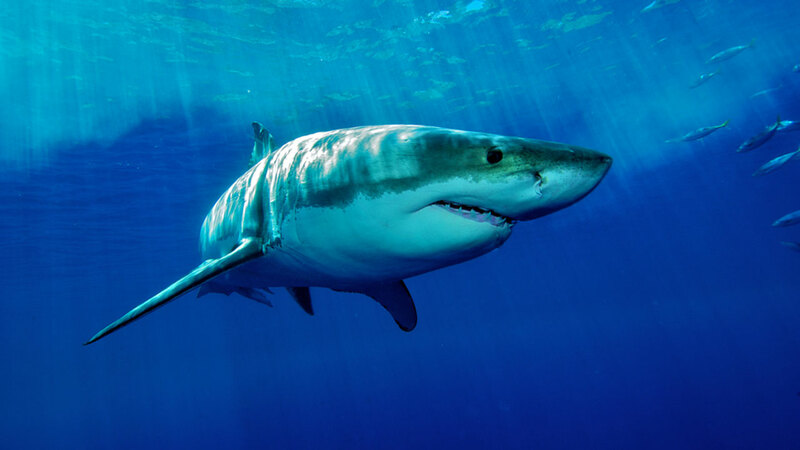 "The ingredients that have gone into a general upward trend in the number of shark bites in Hawaii, and other places around the world, are mainly more people in coastal areas going into the ocean and doing a wider array of ocean recreational activities," Meyer said.